Founded in 1998, the Allen Philharmonic Orchestra & Symphony Chorus is a professional orchestra comprised of 60-70 musicians. Many of our members hold full time positions as directors of bands and orchestras throughout the metroplex. With the goal of enhancing its community’s rich culture and fostering a community-wide appreciation for the art of music, the Allen Philharmonic presents an annual subscription series of four concerts and a variety of special events, community outreach and youth education programs that include our annual Third Grade Youth Concert, Memorial Day Patriotic Pops and Casual Concerts with our Symphony Chorus. We are so proud that the Allen ISD allows us to call the 1500 seat Performing Arts Center (PAC), located on the campus of Allen High School, home. We are a 501(c) 3, non-profit organization, funded by corporate and individual donations, civic grants, the City of Allen and the Allen Arts Alliance. We believe in supporting local businesses in our community. Develop our community based Allen Symphony Chorus. 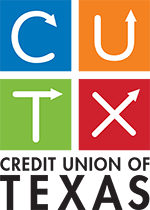 Partner with the area school districts to provide clinicians and master classes as the districts prepare for UIL competitions. 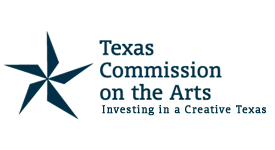 Collaborate with Allen Arts groups that include the Allen Civic Ballet, The Friends of the Allen Public Library, the Visual Arts League of Allen, Blue House Guitar Group, and the Allen Heritage Guild. Provide the Roger & Ella Jo Adams Concerto Competition to students from 9-12 grades in Collin County Performing Arts Programs. The Gold Medalist of this competition is our guest artist enabling our guests to witness the joy and hard work a student has achieved in winning this competition. Outreach includes our Christmas Poinsettia Deliveries to clients of Allen Community Outreach’s Meals on Wheels program; unwrapped toys and books for Toys for Our Tots Holiday campaign; provide musicians to entertain at community-wide events that include the monthly senior citizen luncheon and other communitywide events. Partner with local grocery stores to host our Orchestras Feeding America food drive in March of each season. Provide students in seventh grade and up volunteer opportunities to earn service hours for their school/scout/church community programs. © 2019 Allen Philharmonic Orchestra & Symphony Chorus.